Explore the coastline or the woodlands, the villages or the archaeological remains. 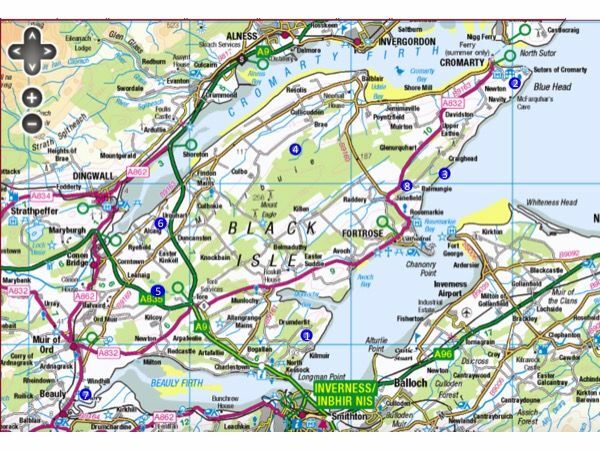 Check our Visitor Map of the Black Isle for inspiration, and have a look at Getting Around to widen your horizons with public transport. Find information on walks and trails in the Black Isle and nearby from the excellent site WalkHighlands. Active walker Julian Paren is adding walks around the Black Isle to the Geo-trips section of the Geograph website. If you follow the links below you will find for each walk a map with a GPS track and a series of images identified by their location with a description. There is also an introduction to the walk explaining its features, its length and the time the walk could take. The wonderful long distance walk The John o'Groats Trail crosses the Black Isle on Stage 1: Inverness to Culbokie and Stage 2: Culbokie to Alness. For crossing over land or water.